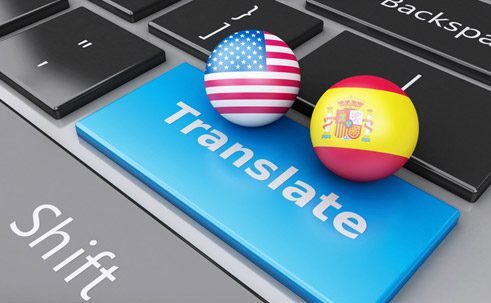 New language learning and translation tools are constantly coming on the market. But how good are the programmes really? And how could they change the teaching of foreign languages? An American and a Mexican schoolgirl talk over Skype. The one speaks English, the other Spanish. Their eyes light up, because they can understand each other. A computer voice translates their words simultaneously and faultlessly. The classroom is thus opened, as this promotional video for the new translation software “Skype Translator” proclaims, to the entire world. Skype Translator and also Google Translate, a similar project from Google, are competing to raise the possibilities of machine translation to a new level. At least that is what the developers of the software claim. The Google app, by now, can enter texts by camera and output them in real time on the screen. Google Translate chief developer Macduff Hughes, at any rate, is of the opinion that his programme may soon be as good as a human translator. Since we began using machine translation for the decryption of secret messages in World War II, she says, technological progress in the area has been modest and in very limited contexts. “We soon realized it was quite feasible to have machines translate short individual passages”, says Seewald-Heeg. But it also soon became clear that, when sentences and texts become more complex, and even knowledge of context is required for a correct translation, programmes quickly come up against their limits. At bottom, nothing has much changed since then. “As soon as specialized knowledge and context play an important role, current software products sometimes produce only gibberish”, says Seewald-Heeg. This is partly the cause of the sometimes curious errors often referred to in reviews of translation systems. In the near future current programmes, in Seewald-Heeg’s assessment, are unlikely really to master the challenges inherent in a functioning simultaneous translation, such as the fact that many sentences are not completed in oral speech or that we understand utterances only in situational contexts. For the computer linguist Seewald-Heeg, the much more interesting question is “Must these system be perfect to be useful?” Basically, her answer is “no”. There are now, she observes, more and more situations in which even an imperfect translation can be quite useful. For example, for purposes of making a text in a foreign language quickly available. Or for use in foreign languages teaching. Viktoria Ilse is a lecturer at the Institute of Languages at the Ludwigsburg University of Education and an expert in holistic teaching methods. “Here of course the new media play an important role”, she says. Ilse has also worked with translation software in the classroom, albeit in a very specific context: the training of translators. “In many programmes for interpreters, software-based learning is an integral part of the training.” Students compile a database for specialized vocabularies. A programme can then render a foreign language text in a literal translation. Only the grammar, she says, need be adjusted by hand at the end. Ilse sees potential in the use of software programmes in general foreign language teaching. Translation apps such as Google Translate replace the bulky and unhandy dictionaries with which translators used to work. This, she point out, is of course an advantage. Software-based learning can also have a motivating effect on many schoolchildren. And an app would provide teachers working with very diverse groups of learners who speak very different native languages with quick assistance.